Accessible by daily bus (approx. 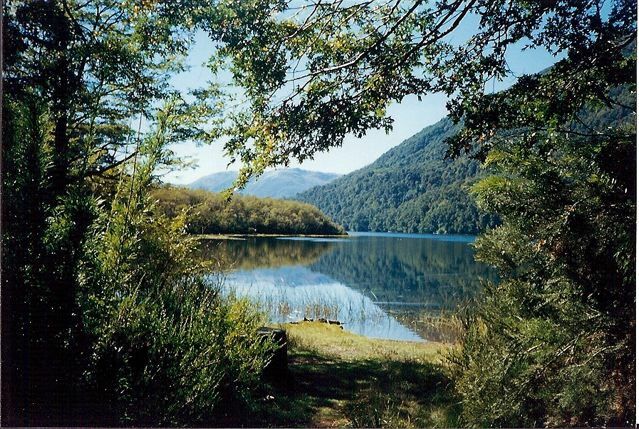 2 hours) from San Martin de los Andes. 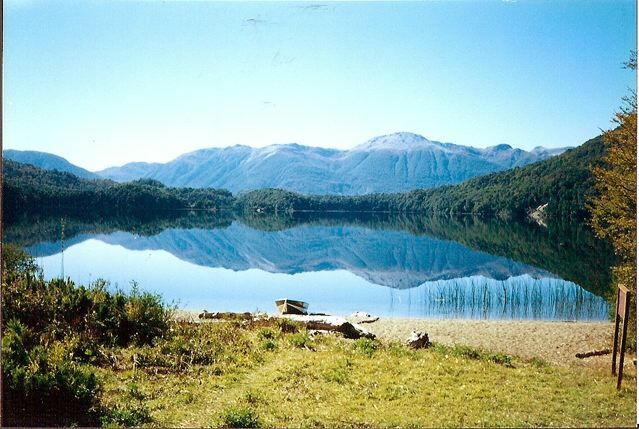 The Gendarmeria is situated just off the international road, which runs between San Martin and Lago Pirehueico in Chile. Season : Late October to May. I used the trekking notes and map in Lonely Planet’s Trekking in the Patagonian Andes (1992). The most recent edition of this excellent guidebook came out in November, 2009. Bring all supplies from San Martin de los Andes. A circular route starting and finishing at the Gendarmeria Hua Hum. Gentle gradient, easy to follow, and best of all at day’s end you can rest your aching legs (they shouldn’t really be aching on this sort of hike!) in a relaxing hot springs. Sleeping : Bring a tent. 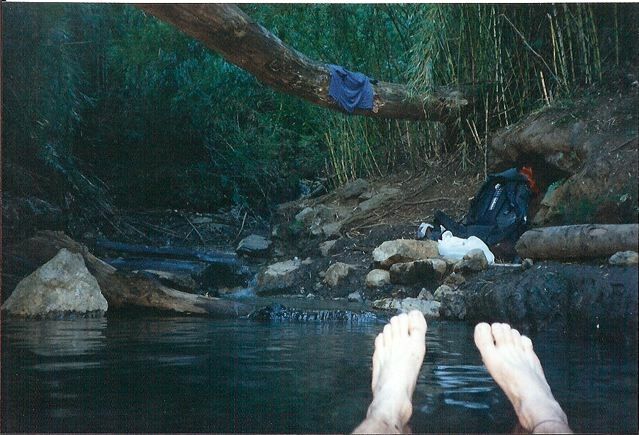 Beautiful lakes and soothing hot springs. A pretty good combination.